The name has been changed to Nthorwane (no idea what it means) by the ANC, but that doesn't bother me, I'll keep referring to it as Greylingstad. The picture shows the main street through Greylingstad. Here is some confusion, when did the town really start and where? According to the Boksburg Historical Society it was before the Boer War when Paul Kruger had to come in person to sort out some feuding parties over the naming. Officially it started in 1909 as a church settlement 5km to the south of the present Greylingstad. I think it was most likely 5km to the south east. 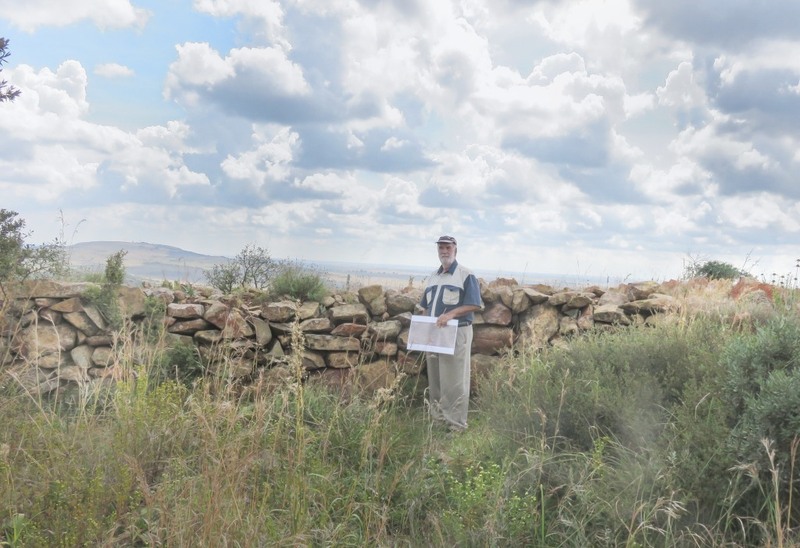 According to the reference and I quote verbatim: 'In April 1909 a church settlement was established 5km south of the present-day Greylingstad and named after P.J.Greyling, a stepson of Piet Retief, and a pioneer of the district. 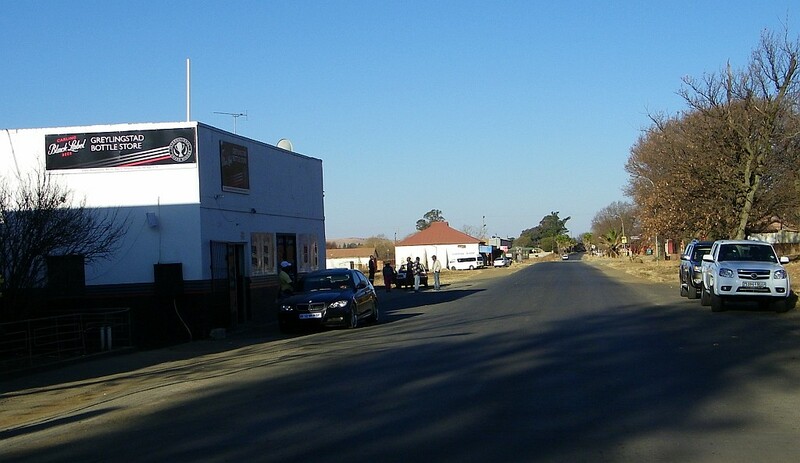 In 1913 another town was laid out along the railway line on the farm Willemsdal of Willem Bezuitenhout, after which the original Greylingstad was vacated and the name transfered to Willemsdal. A town council was established in 1920'. There we have it, just a bit confusing that part of Greylingstad, the part on the hill to the north east, is still called Willemsdal. A few more bits of history can be found on the place names blog. The hill above the present town was occupied by the Scottish Rifles and they made sure that this is not forgotten by placing a large SR on the hill, during our visit we couldn't see it, but on Google Earth its clearly visible at 28.744703°S 28.744703°E. It is very difficult to take a picture at the ground that shows the extend of the camp. Most of the walls have crumbled and are over grown. 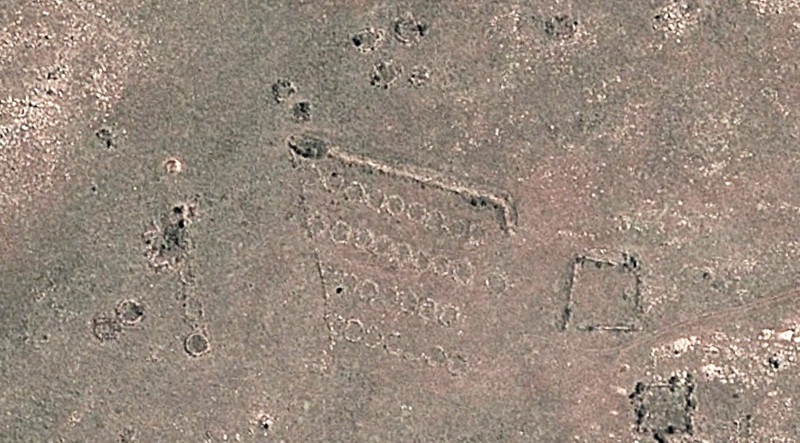 The image on the left shows a wall off one of the gun positions. Better is to look at the picture on the right, an image from Google Earth. The many rings it shows are the low walls that used to be around the tents to protect the sleeping soldiers from enemy fire. An expert on this site is Rob Milne, he made a detailed study of the area and can explain what was what. He took us around the area in April 2017. The collection of rings were the tents for the troops, to the top on the northern side of the defensive wall are the officers tents, to the left the administration and further west the kitchen. 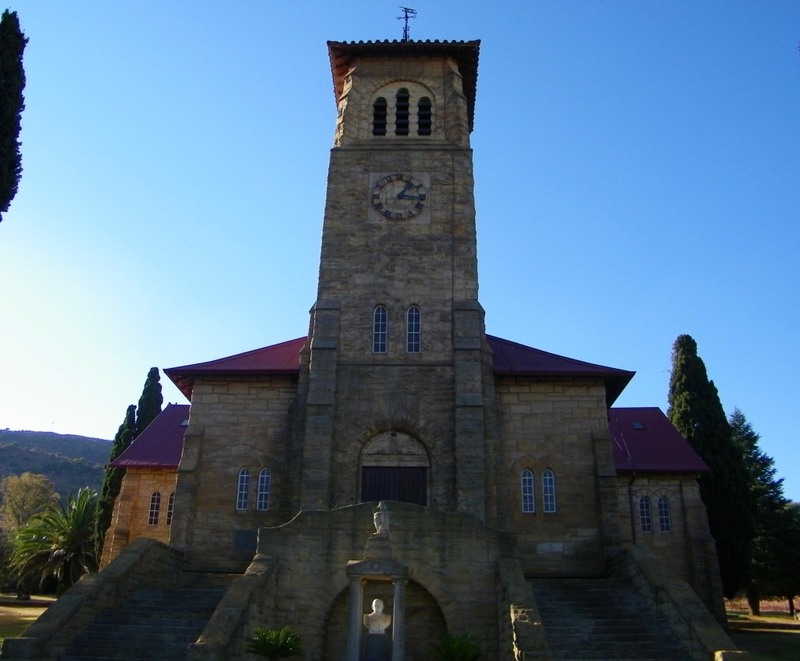 There are a few, the most prominent one is the NG church up the hill in Willemsdal. A very imposing building made of sandstone. The church was designed by the architects Cowin en Powers as part of a competition with Herbert Baker adjudicating. The church was erected in 1913. And than there is the church on the hill, its a ruin now. Pictures can be seen in versidaba. The claim is that this church was designed by Gerhard Moerdyk. This needs some more checking, looking at the pictures one doesn't get the impression that this is in the style of Gerhard Moerdijk. And what church was it? Why was it up there on the hill? Its on the main line between Durban and Johannesburg and sees a lot of traffic, all goods, passenger service is no more. A 'graveyard' of bend and twisted rail trucks indicated something drastic had happened here. Searching the Internet I established that there was a major derailment of trucks on the 9-April-2013. 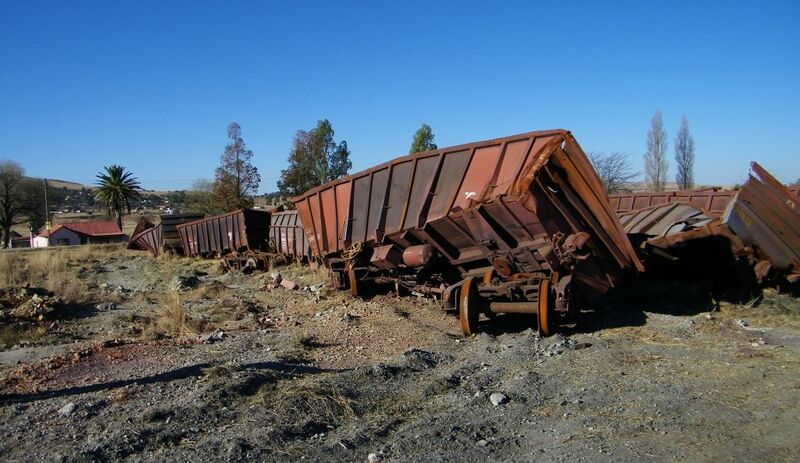 From the freight ticket we gathered that this had been carrying iron ore from Kumba. P.S. : driving past there in April 2017 many of the trucks are still laying there. What is wrong with this company (Spornet)? If the trucks can't be refurbished just get a scrap dealer to take them away at no cost to the railway. Looking at Google Earth there is another cemetery to the east of the township, and this would be roughly where the original Greylingstad was situated (according to the Reference). We didn't know about that one, another visit is thus called for.